Over the years I've noticed that the Creeping Jenny (Lysimachia nummularia) in our garden always gets grazed on pretty heavily in the late spring. Leaves would have numerous holes chewed into them or would be completely gone. Until this year, I had never discovered what was eating the leaves. I didn't really mind; the Creeping Jenny looks really nice growing between the bricks and stones that make up our garden pathway, but I always have to remove large patches of it throughout the summer to prevent it from taking over the whole garden. But this year I happened upon what was behind the chewed leaves. This isn't a caterpillar, it's a Sawfly larva, a primitive group of insects found in the Order Hymenoptera, along with bees, wasps, and ants. 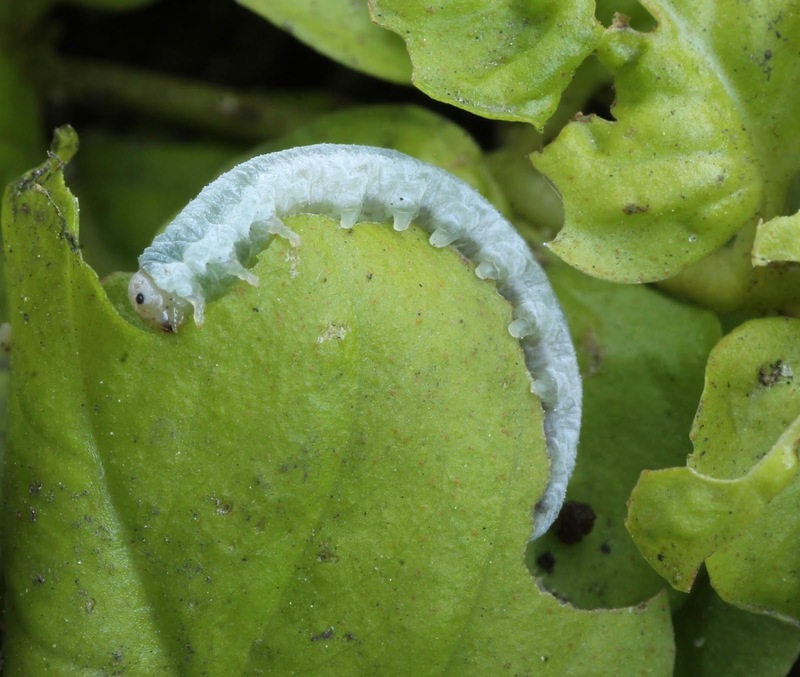 This particular sawfly larva is Monostega abdominalis. One way to tell the difference between sawfly larva and caterpillars (which of course are the larva of moths and butterflies) is to count the number of prolegs, the peg-like appendages found along the latter half of either type of larva. 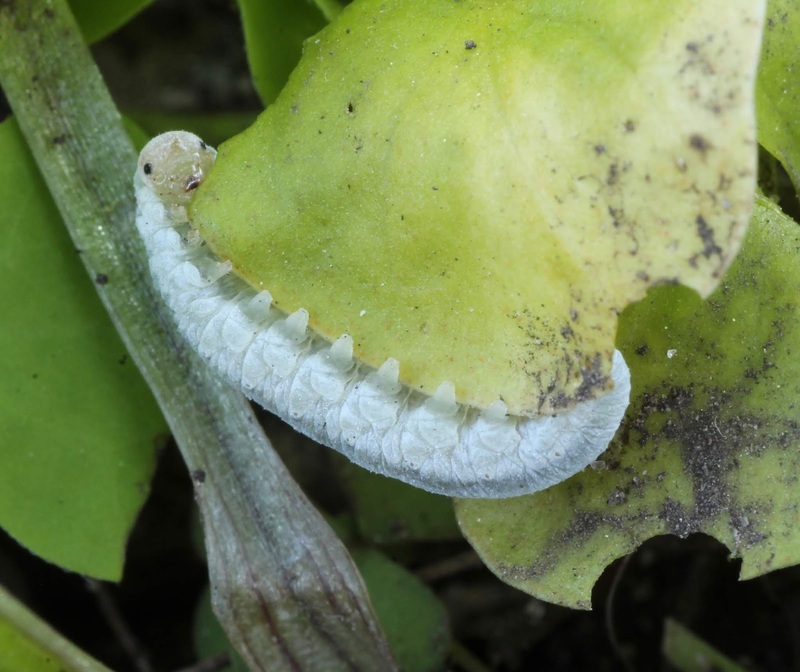 Generally caterpillars have up to five prolegs. Sawfly larva have six or more prolegs, in the case of M. abdominalis there are eight. Both groups have three pairs of thoratic legs just behind the head, so don't include these in you count. The adults of M. abdominalis are minute, one could rest on the tip of your finger with room to spare. This post from the Home Garden blog has some good life history information on M. abdominalis, and it's possible interactions with native plants (neither M. abdominalis or Creepy Jenny are native).